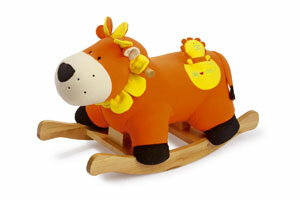 High quality small fluffy rocking animals for every child to enjoy. Rock and roar with Leo for hours of fun. 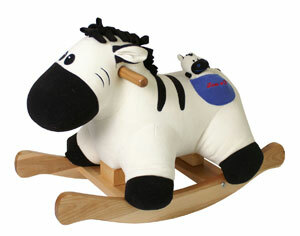 Plush rocker with musical toy. 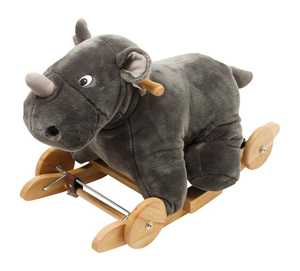 Hold on tight and rock and roll with Beppo! Double playing fun as the wheels are foldaway and the rocker becomes a roller! Small pony for rocking and rolling! 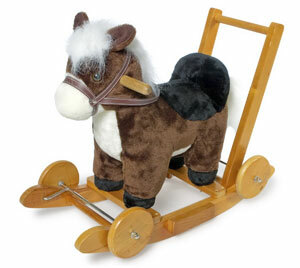 Twice the fun thanks to the fold-down wheels which turn this rocking pony into a push/pull-along! Small tiger for rocking and rolling! 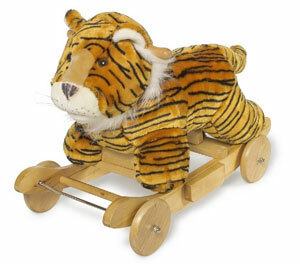 Twice the fun thanks to the fold-down wheels which turn this rocking tiger into a push/pull-along! Little lamb for rocking and rolling! 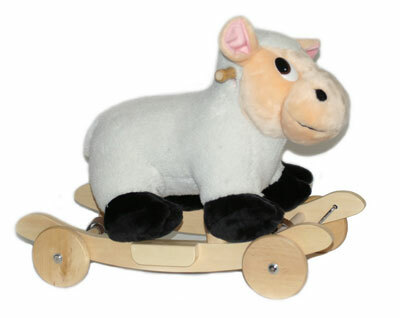 Twice the fun thanks to the fold-down wheels which turn this rocking lamb into a push/pull-along!